Hot Headline Ads, Hot Header Ads, Headline Ads! Trade commissions for Special Offers! This OTO - $10.98 Commission EVERY TIME! Earn TONS of Free Ads When You Click! Verify your email address right away! by the system within 24 hours! See our OTO for an awesome deal. By joining you agree to receive emails from Traffic Rodeo. You are also agreeing to the rest of our Terms and Conditions. 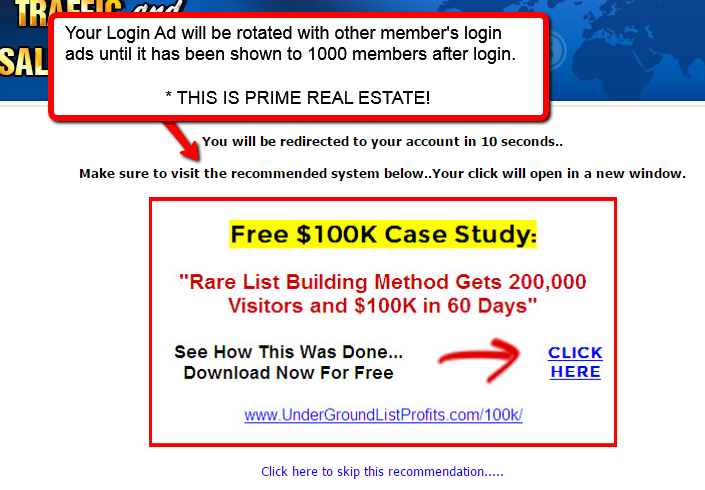 Total Ad Explosion - 1 Click Submits Your Ads to Multiple Sites!